SoftWash Systems Five Star Companies are our best and brightest. Not only have they completed the same steps as the Certified Applicators and Authorized Professionals but they have capitalized on additional programs and capability levels that make them our most capable and highly decorated in-network companies in our system. Five Star Companies complete more production (square feet cleaned) than any other of our in-network companies, they complete more technically difficult properties and they softwash the highest profile of projects. These companies have been in our network for a minimum of two years and have proven themselves to be very capable. Additionally Five Star Companies have multiple trucks / crews equipped with the latest in SoftWash Systems equipment, chemicals and training. These are soft washing businesses that are multiple employee and are run from physical / commercial offices. They attend yearly our annual in-network convention called Softwashapolooza and participate in regional training events like our Revolution Camps. SoftWash Systems Five Star Companies have unparalleled experience within our network and can take on the projects that our Certified Applicators and Authorized Professionals are not equipped to. Projects like primer estate homes, government buildings, airports, theme parks, military installations, hospitals and other cleaning projects whether sensitive by nature of the business they conduct or by the unique surfaces on their buildings exterior. The best statement that describes our Five Star Companies is… “When using a SoftWash Systems Five Star Company you the property owner can rest assured that they are our best and brightest, completely capable and are fully vested in our vision of providing the best exterior cleaning service, utilizing SoftWash Systems Technologies, worldwide”. Anyone can build soft wash style equipment and sell soaps. Ony SoftWash Systems offers a turn-key business model with the best tools and support in the industry! 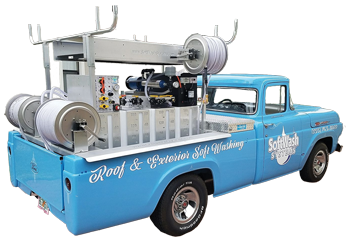 If you want to have the support of a nurturing business oriented community and the leadership of the owner of a multi-million dollar cleaning company / patriarch of the soft wash roof cleaning industry, then consider becoming an in-network company with SoftWash Systems. 3. Exclusive Use SoftWash Systems Equipment. In Possession of Two Active SoftWash Systems Cradle Skid Systems @ $200k Each. 1. Discounted Standard Shipping (coming soon). 2. 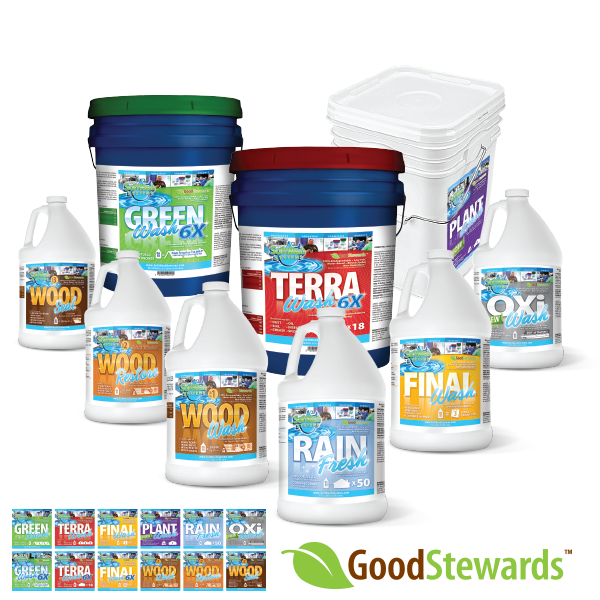 Co-Brand with SoftWash Systems on your advertising, website, truck and storefront. 3. Featured on the SoftWashSystems.com State by State Listing B Position Ad. 4. Blog Space on the SoftWash Community. 5. 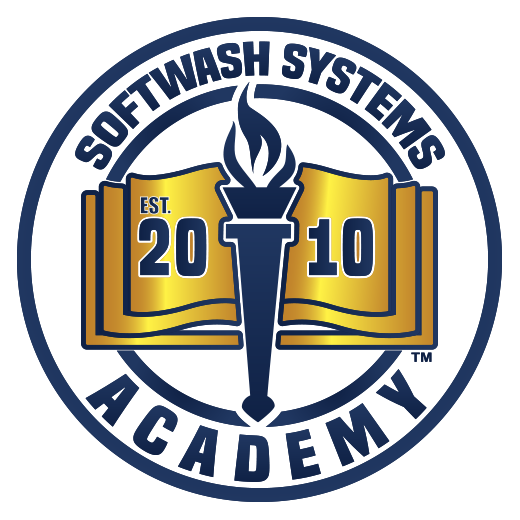 SoftWash Systems Status Badge – On Your Site. 6. Access to exclusive Five Star Company advertising materials. 7. Qualified to recieve SoftWash Systems referral business. 8. Ability to participate in the SoftWash Systems Co-Op Advertising Funds.